The philosophy of Manchester Academy is based on Christian principles and academic excellence. We believe that each student should have the opportunity to reach his/her maximum potential. Manchester Academy seeks to enroll students in grades 2K-12. Manchester Academy does not discriminate on the basis of race, color, national, or ethnic origin. Students and parents should understand and agree to support the rules, dress code, and discipline procedures of the school in order to become or to remain a student at Manchester Academy. Admission of special needs students: It is our policy to admit students with a broad range of ability levels. However, to ensure our ability to adequately meet the needs of all our students, including those with learning disabilities or other special needs, the number of students who will be admitted may be limited. Enrollment is contingent on a review of previous school performance, teacher recommendations, other specialized testing as deemed appropriate by the administration, and a successful parent/guardian interview with the headmaster and the guidance counselor. Admission to Manchester Academy is at the sole discretion of the administration. Expulsion from another school: The Administration of Manchester Academy will not consider a student expelled from another school (public or private) for enrollment. 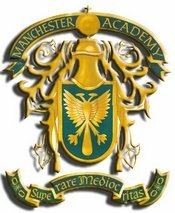 Manchester Academy will NOT accept any senior class transfers after the 1st nine weeks, unless extenuating circumstances exist that necessitate approval by the administration and board. Admission to and continued enrollment in Manchester Academy exist at the sole discretion of the administration. In order for their children to remain students at Manchester Academy, parents or guardians must realize that, for the school to meet its financial obligations, the parents must also meet their financial obligations to the school.